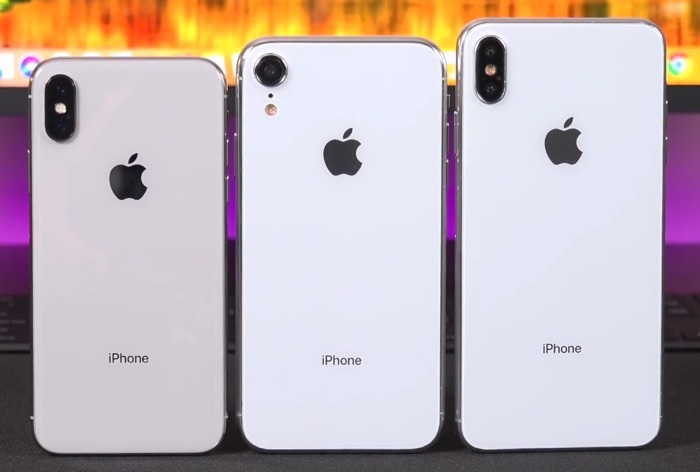 Apple will be launching three new iPhones next month, two new OLED iPhone X handsets and one 6.1 inch LCD iPhone which may launch as the iPhone 9. According to a recent report Apple will start taking pre-orders of their new iPhones on the 14th of September 2018. The news comes from the German mobile carriers, who will apparently start taking pre-orders for the handset on the 14th of September 2018. That would suggest that Apple will be holding a press event for their new iPhones on either Monday the 10th of September or Tuesday the 11th of September. The two OLED iPhone X handsets will come with a 5.8 inch OLED display and a 6.5 inch OLED display, these two handsets will feature dual rear cameras. The LCD iPhone 9 will come with a 6.1 inch display and will feature a single rear camera. All three handsets are expected to use the new Apple A12 processor and the tree devices are expected to feature different amounts of RAM. We are expecting Apple to make their 2018 iPhone X handsets official next month, these new iPhones will come with iOS 12.